Nona Lovell Brooks , described as a "prophet of modern mystical Christianity", was a leader in the New Thought movement and a co-founder of the Church of Divine Science. 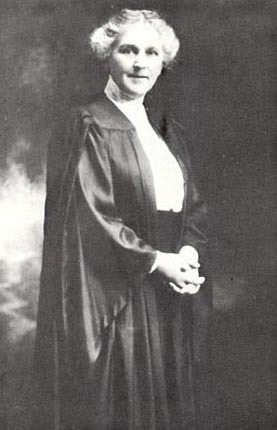 After World War I Brooks succeeded her sister Fannie James as head of the College and in 1922 Brooks aligned the growing Church of Divine Science with the International New Thought Alliance. Nona was described by many who knew her as warm, gentle, and "motherly", but with "a strength that came from conviction". Remember always that the senses give us only a partial report of the true state of anything. Let us look with the eye of Spirit, the single eye, and our bodies shall be full of light.